Sew what's cooking with Joan! 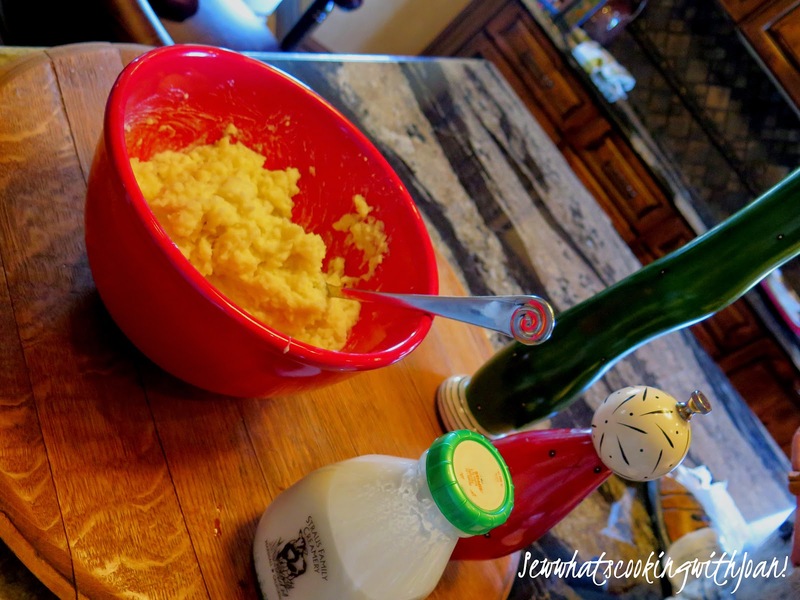 : Perfect Mashed potatoes with Three Onion Butter - Just in time for Gobble Gobble! I am the Queen of mashed potatoes....yes! Not self proclaimed, my nephew, Ed announced this to his Mother when his Father and Mother had left on holiday and he stayed with us. 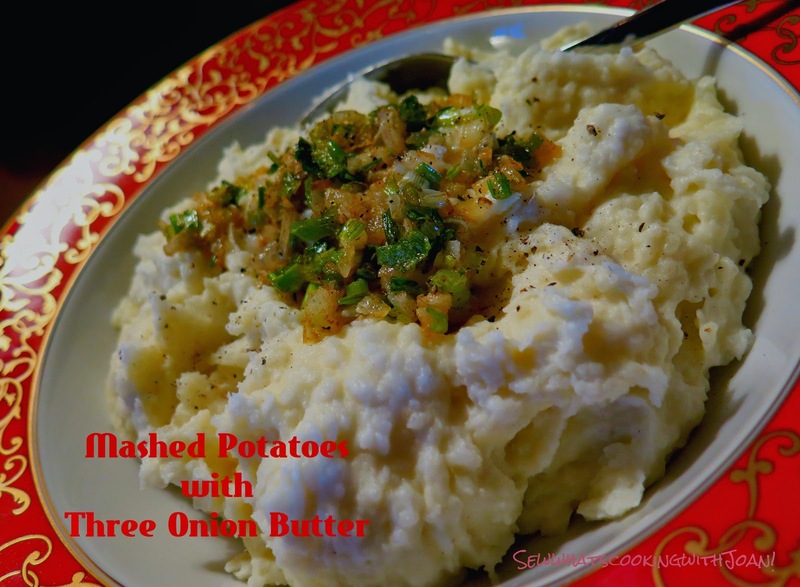 Everyone loves my mashed potatoes, because they are creamy and seasoned just right!! Do you want to know my secret? ............okay I'll tell you right here, right now! 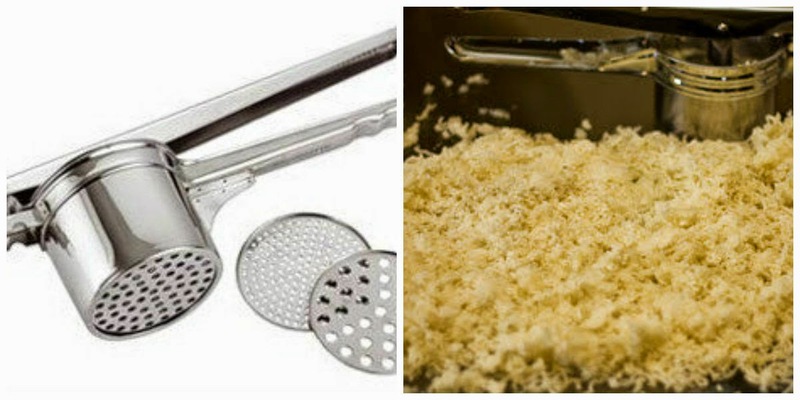 To achieve very creamy mashed potatoes 1) do not over cook 2) put the pan back on the burner for minute, after you drain the water off, to dry up every last bit of water, and 3) put the potatoes through a ricer.....that's right, a potato ricer. 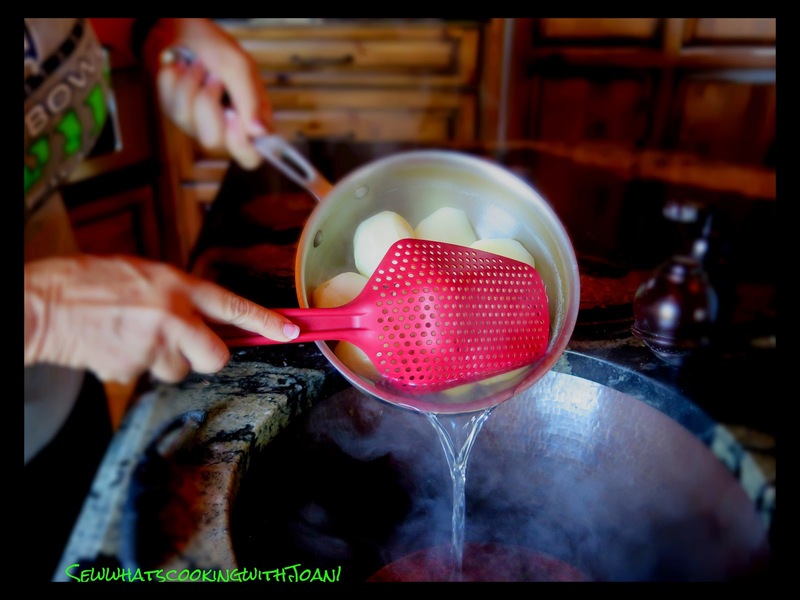 A potato ricer will ensure that your potatoes will not be in a sticky glob...we've all experienced the sticky gluey potatoes at least once at someones house. Most people use starchy Russets for mashed potatoes. With their high starch and low water content, they’re good for baking, for making French fries, and for mashing. My favorite potato for mashing—even better than Russets for mashing, are Yukon Golds. They’re a little more expensive than Russets, but worth it. They’re naturally creamy when mashed, never mealy, and have a slightly buttery flavor all on their own. Yukon golds make the most perfectly creamy, buttery mashed potatoes. Return the pan to the burner for 30 seconds or so, until the water all evaporates. Turn the burner off, put the lid on and put to the side. 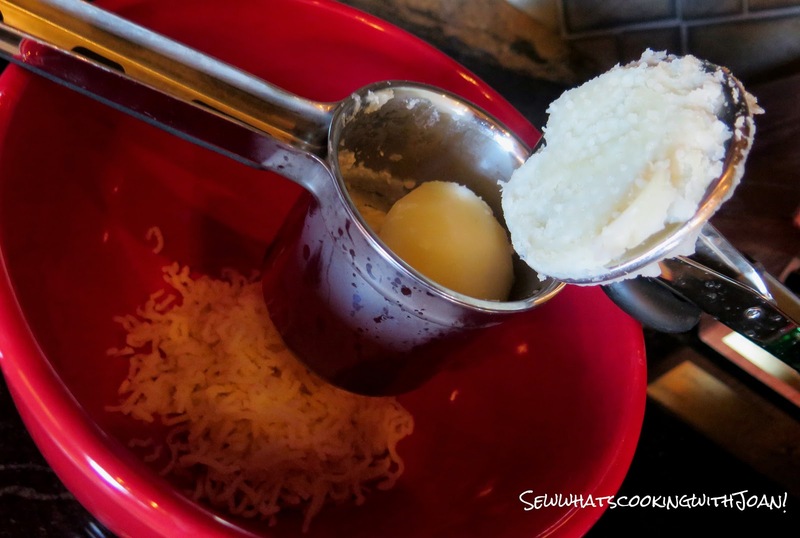 Melt 4 tablespoons butter in large frying pan over medium heat. Add leek and cook just until it is starting to soften, about three minutes. Add shallot; cook until softened and butter starts to brown, about three minutes. Remove from heat and add green onions, swirl the pan to coat with the brown butter. Heat half and half and 4 T butter in the microwave until very hot. 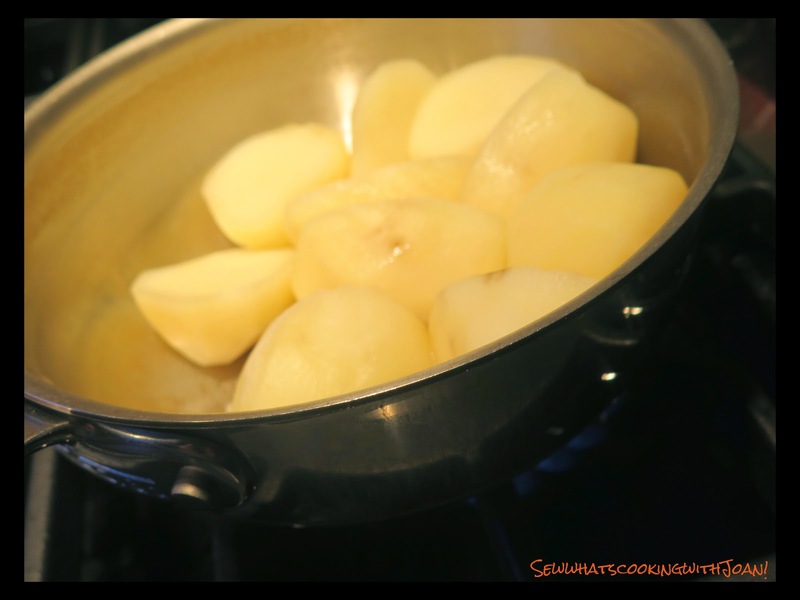 Working in batches put the potatoes through the potato ricer, add to the half and half mixture and season with salt and pepper, mix well, until creamy. If too thick add more hot half and half. Put the potatoes in your serving dish and pour the onion mixture over the top, serve! *You can make the potatoes ahead, morning of, just heat them up in the microwave, add more half and half if necessary, then, top with the onion mixture. 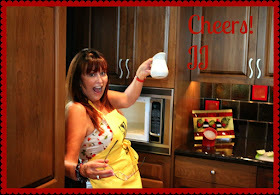 All your holiday recipes on one glorious blog!! From appetizers to dessert just click this link and find your meal plan!! 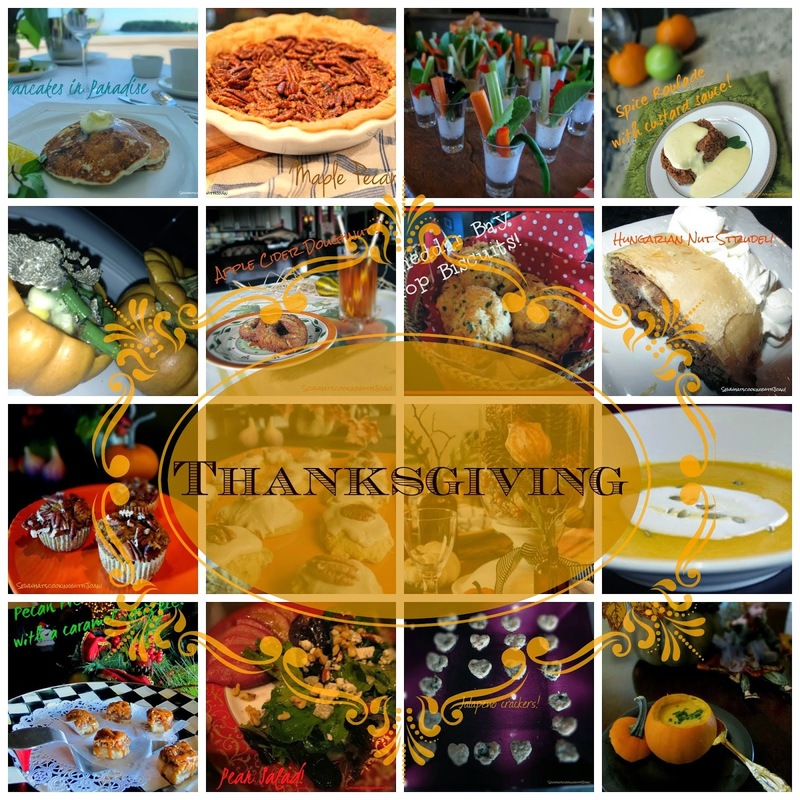 I've been hosting our Thanksgiving family meal for over 40 years and I have a plan that works for me. For the most part, having a plan lessens the stress, except for those year's we lost power! But, not to worry, I walked out to our "Motorhome" and "wha la" we had a full on "Thanksgiving dinner" for 30 or more! No worries! It's all about * Mise en Place! A couple of years ago, I handed the Holiday baton to my very capable children, with a promise to be right there with them, and to help prepare anything and everything.....including, setting the table the night before! This year my son TT (Dustin) and daughter-in-law, Amy are having 21 adults and children to their home for this delicious feast, starting at noon and ending with the Seahawk vs. Forty-niners game, in the evening! We will have the SF contingent in house, so, it will be a spirited evening! I am looking forward to the grandchildren playing together and creating holiday memories and feeling the love of family coming together to give thanks. 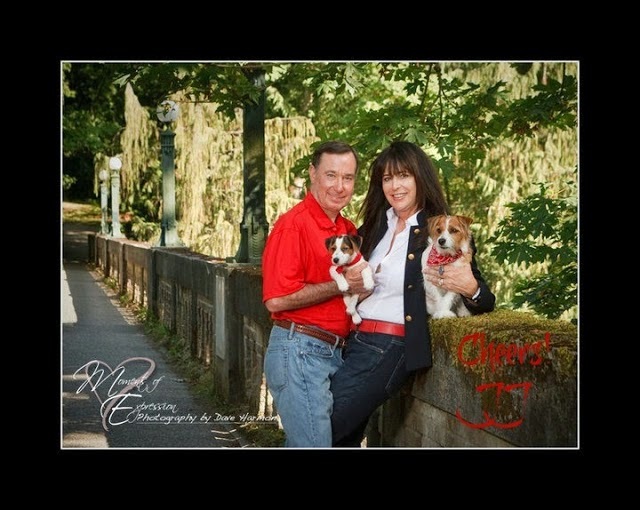 Joan, loved this week's "blog", and mashed potato recipe and the pic.of you, Bill and the puppies..
Blessings to you and Bill and your families at probably my favorite Holiday.